Peter Rae's eighteen-year Senate career was characterised by an independent spirit of inquiry and an energetic application to committee work. First elected in 1967 as the second candidate on Tasmania's Liberal Party ticket, he commenced his term in the Senate on 1 July 1968 as the youngest senator in what was at that time a chamber of elders. He was re-elected in 1974, 1975, 1980 and 1983, before resigning to contest the Tasmanian state election held in February 1986. Peter Elliot Rae was born in Launceston on 24 September 1932, one of three children of John Elliot Rae, wool buyer for the large textile firm, Patons and Baldwins, and his wife, Nina Winifred, neé Patten. His schooling was undertaken at the Launceston Church Grammar School and his tertiary education at the University of Tasmania, from which he graduated with an Arts degree in history and political science (1953), followed by an honours degree in law. While at university he played rugby union for Tasmania; he later participated in motor racing, and off-shore sailing. In May 1956 he married Rosemary, daughter of C. S. Gibson, at the Grammar School chapel, Launceston, and three sons were born between 1957 and 1964. Upon graduation Rae served a year as a judge's associate, and following admission to the Tasmanian bar in 1960 he joined the Launceston legal firm, Douglas and Collins, in which he became a partner. He practised there until making his successful bid for a Senate seat in 1967, while also serving as a part-time member of the University of Tasmania law faculty. Between 1969 and 1970, though by now a member of the Senate, Rae served as president of the Tasmanian Law Society, having facilitated the amalgamation of Tasmania's northern and southern law societies. Rae entered Parliament at the end of the 1960s, at a time when the Senate was enhancing its role as a reviewer of government, and many senators, irrespective of party allegiance, were seeking to actively participate in the examination of policy and administrative matters. In his first speech on 11 September 1968 Rae referred to the Senate as 'the most important chamber in our national Parliament', and said that 'one of the greatest functions which this chamber can fulfil is in the review of the need for legislation and, subsequently, in the review of the operation of that legislation'. In 1970, acting on a report by the Clerk of the Senate, J. R. Odgers, the Senate adopted a comprehensive committee system in which standing committees would inquire into government policy and administrative activities, and a set of estimates committees would scrutinise particulars of proposed government expenditure. Rae was a member of one of the first two standing committees created, and moved the first reference to that committee, on the operation of the Australian National Line's shipping services to and from Tasmania. He was also a member of Estimates Committee C, the first to meet under the new system. Rae had already been appointed, in April 1970, to the Select Committee on Securities and Exchange, established in response to concerns about 'manipulation of prices, insider trading and such other improper or injurious practices ... [that] may occur in relation to shares and other securities of public companies' in the wake of the speculative boom in Australian mining shares in the late 1960s. Rae, who had lectured on retail trade practices legislation, worked intensively on this committee for more than four years, at times sleeping four hours a night and returning home only one night a week; in 1972 he travelled to the USA to investigate the operations of the securities industry there. After he replaced Sir Magnus Cormack as chair in August 1971, he and other members of the committee adopted a tough approach to investigating the securities industry, Rae himself becoming the 'chief interrogator' of witnesses. The financial establishment waited with trepidation as the committee closely examined some companies as case studies, amassing thousands of pages of evidence, and extending its inquiries into months and then years. When the government changed in 1972, the incoming Labor government, contrary to the usual practice, supported Rae's continuing as chair, a testament to his importance to the committee and recognition of his influence and integrity. Described in the Melbourne Age as 'probably the most explosive document produced by either House of Parliament since Federation ... also the most important', the report of the committee, (the Rae Report), tabled in five volumes in July 1974, and a further volume in 1975, documented unethical, inefficient and corrupt practices in the securities and mining industries. The report's recommendations resulted ultimately in the establishment of a national securities commission, and in regulatory measures that increased transparency and public accountability in Australian securities markets, although not to the degree hoped for by Rae, who maintained a watching brief on the issues raised for the rest of his Senate career. Rae and his committee demonstrated that a Senate committee with expert support and strong leadership and determined to use its powers to the full could conduct a stringent, non-partisan and comprehensive inquiry and produce a definitive report. As Rae said: 'this committee, rightly or wrongly, broke new ground in the role of the Senate committee system'. In his own work, Rae illustrated the potential for a backbencher to make an influential contribution through Senate committees. Writing in a regular column in the Australian in 1976, Rae said: 'It is my firm belief that parliamentary democracy depends upon the continuation of a system in which no executive government has absolute power', and the thrust of much of his work in committees was to enforce accountability to parliament on executive bodies funded by the Commonwealth. In his work on estimates committees, Rae repeatedly drew the attention of the Senate to the failure of many government-funded statutory authorities to report to Parliament on their finances and other activities. When Estimates Committee B, with Rae as chair, reported in 1971 that it was apparent from hearings of that committee that some officers of statutory bodies appeared not to understand that they were accountable to Parliament, the Senate passed a resolution that: '... there are no areas of expenditure of public funds where these corporations have a discretion to withhold details or explanations from Parliament or its committees unless the Parliament has expressly provided otherwise'. Rae saw the proliferation of statutory authorities as a feature of 'big government', which he abhorred. In May 1977 the Senate agreed to his motion to refer the funding and expenditure of Commonwealth statutory authorities and corporations to the newly re-established Standing Committee on Finance and Government Operations, with himself as chair; in October the reference was amended to 'the continuing oversight of the financial and administrative affairs ... of ... bodies which the Commonwealth owns or controls ... and on the appropriateness and significance of their practice in accounting to the Parliament'. The committee first worked to identify commonwealth statutory authorities, which Rae called QANGOs (Quasi Autonomous Non-Government Organisations), compiling a list of more than 250. It then surveyed them in terms of people employed, annual spending, assets and investments, and functions. The committee found that although these authorities employed in total twice as many people as the Commonwealth Public Service and their expenditure represented a significant portion of the annual budget, some had no obligation to account for their activities to the government or Parliament, and many that did have that obligation reported in a desultory and incomplete manner. Pursuing inquiries into particular organisations, such as the Australian Wheat Board and the Australian Film Commission, the committee identified, in addition to a widespread failure to report regularly on economic and other issues, major errors in financial management, and inefficiencies in operation and function. In the case of the Australian Dairy Corporation and its subsidiary Asia Dairy Industries (HK) Ltd, the committee in 1981 reported malpractices including possible breaches of an international trade agreement. It cast doubt on a statement on the matter by the Minister for Primary Industry, Ian Sinclair, resulting in an Opposition censure motion in the House of Representatives, and a defence of Sinclair by Prime Minister Malcolm Fraser in which he was openly critical of the committee. In raising questions about the appropriateness, efficacy and obligations of QANGOs, and their relationship with government, in the words of Senator John Button, the work of the committee 'changed some of the parameters of political debate on statutory authorities'. Rae had supported first John Gorton and then Billy Snedden as leaders of the Liberal Party, and he declined to assist Malcolm Fraser in his leadership aspirations in the early 1970s. He had genuine policy differences with Fraser, as well as objections to aspects of his political ethics, and he believed that Snedden would take a generous approach to his home state of Tasmania. While Snedden was Leader, Rae was Liberal Party spokesman on social development from December 1972, education and science from January 1973 to June 1974 and Aboriginal affairs, and community development from June 1974 until Fraser became Leader in March 1975. Although retained by Fraser as spokesman for community development and tourism, with special responsibility for Tasmanian issues, he did not become a minister in Fraser's government at the end of 1975, or indeed in any subsequent Liberal Party ministry. With Labor again in office from March 1983, the new Liberal Leader, Andrew Peacock, allocated him the shadow ministry of industry and commerce (1983–84), and from December 1984 he was shadow minister for finance, only to be replaced within nine months when John Howard became Leader. While he did not gain a prominent leadership role within the parliamentary Liberal Party, Rae's work on committees won him considerable influence. As well as his high-profile work on the Securities and Exchange and Finance and Government Operations committees, he chaired, at various times, estimates committees B, F, E and A, as well as the Regulations and Ordinances Committee (1971–72), and select committees on Passenger Fares and Services To and From Tasmania (1980–81), and on Statutory Authority Financing (1983). Rae conducted his committee work in a spirit of non-partisanship and independence that was not always comfortable for the Liberal Party, in government or in Opposition. Rae said in 1971 that he had 'decided to try for the Senate in 1967 because I saw it as a house where there was a great opportunity for a person to engage in politics without following the party line 100 per cent'. He believed that, under the constitution of the Liberal Party, members had the right to vote in Parliament as they saw fit, and he crossed the floor to vote contrary to his party on many occasions. In 1976 he voted with six other Liberals to defeat a measure proposing to abolish funeral benefits for pensioners, causing some embarrassment to Malcolm Fraser and his new government. Opposed to the government proposal to amend the Constitution to provide for simultaneous elections for the Senate and the House of Representatives in 1977, he repeatedly crossed the floor on this issue, and campaigned vigorously in the 'No' campaign against his own party in Tasmania. He crossed the floor with six other government senators in November 1981 to carry a motion for the establishment of a Scrutiny of Bills Committee. In 1979 he antagonised some in the Party by suggesting that the government-owned airline Trans Australia Airlines (TAA) should become a public company. From July 1981, when the government lost its majority in the Senate, Rae was recognised as a member of an informal group of Liberal Party senators who were disaffected with the party leadership and prepared to act independently when they felt it was warranted. The role of parliament, and particularly the role of parliamentary committees acting on behalf of parliament, is to ensure that what the government does is made known, is scrutinised, is subject to examination, and is subject to accountability. It is through the committee system and particularly through the committee system of the Senate as the house of review that I see that function of the parliament being carried out. Believing that in order to function effectively, the powers, procedures and facilities of Senate committees needed to be enhanced, from the earliest days of the new committee system he argued for improvements to the inquiry process, such as increased staffing, the employment of experts in the field to be examined, and the ability of committees to sit longer and more frequently. Practices initiated by his committees were adopted as improvements to the system, including departmental explanatory notes being provided in a standard form and in advance to hearings of estimates committees, leading later to their publication as public documents. The importance given to annual reports by the Finance and Government Operations Committee led to the regular referral of agency reports to committees, which were enabled to investigate and in turn report to the Senate on them. Rae was a member of the Joint Standing Committee on the Parliamentary Committee System that visited Ottawa and London to look at committee systems there, and was impressed with ways of dealing with legislation in the British Parliament. On his return, he foreshadowed the establishment of a Selection of Bills Committee, and systematic referral of bills to legislation committees of the Senate. He chaired meetings of Liberal Party committee chairs that formulated ideas aimed at strengthening the committee system, such as the suggestion that there be no ministers in the Senate, but an enhanced role for committee chairs. Rae had the distinction of introducing the fourth private senator's bill to pass into law since federation, prompted by the forfeit of a fisherman's two-way radio for non-payment of a $50 licence. The Wireless Telegraphy Amendment Bill 1980, which became Act no. 91 of 1980, gave the Minister for Post and Telecommunications discretion to return forfeited equipment to the owner. In May 1983 Rae introduced a private senator's bill proposing an amendment to the Constitution to provide that, in the circumstances of the Senate refusing to pass supply and forcing the House of Representatives to an election, both houses should be automatically dissolved. The bill progressed to a third reading but did not pass with an absolute majority of the Senate, and so was laid aside. Well known in his home state for his forthright protection of Tasmania's interests, in the Senate Rae constantly urged consideration of means to address economic disadvantages of that state resulting from isolation and regionalism, in particular subsidies and grants to assist shipping and air services. He participated in three committee inquiries into issues of transport between Tasmania and the mainland, including the Select Committee on Passenger Fares and Services To and From Tasmania in 1980 and 1981, an inquiry that he initiated and chaired. An interest in environmental matters throughout his time in the Senate focussed on the protection of Tasmania's natural assets. Rae was a member of the Federal Council and the Tasmanian executive of the Liberal Party and he directed state Liberal Party election campaigns during his time in the Senate. In 1975 he was credited with organising the Liberal Party's devastating win over Labor in the bi-election for the federal seat of Bass following the resignation of Lance Barnard. His opposition in 1981 and 1982 to state party policy to build a dam on the Gordon River (he advocated the development of nuclear power for Tasmania) led to suggestions that he might lose preselection for his Senate place, but these were unfounded and he was the first Liberal senator returned for Tasmania at the election of 1983. 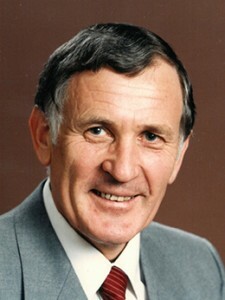 Rae resigned from the Senate on 16 January 1986 to contest a seat in the electorate of Bass, centred on Launceston, in the forthcoming Tasmanian state election. He had been invited by the Tasmanian Liberal leader, Robin Gray, to join his team, with the reasonable expectation that in the event of Liberal victory he would be offered a ministry. He was elected to the state seat at the February poll, attracting twenty-two per cent of the primary vote in that multi-member electorate, the second highest in the state after the incoming premier. Rae was appointed to the Gray ministry, with responsibility initially for education and the arts, industrial relations, deregulation, and technology, and from February 1989, technology and youth affairs. The Gray Government survived only one three-year term, and Rae narrowly lost his seat at the May 1989 election. Though not yet fifty-seven years old, Rae retired from political life and returned to his Launceston legal practice. Within a few years the former senator was offered directorships in both the public and private sectors, predominantly in the field of renewable energy. In 1993 the Tasmanian Groom Liberal Government appointed him chairman of the Hydro-Electric Corporation. Under his leadership the corporation underwent significant change, including the introduction of wind generated power, and disaggregation into three bodies, Rae retaining the chair until 2004 of Hydro Tasmania, a generator of hydropower and wind power. Within the private sector Rae became a director of Renewable Energy Generators Australia Ltd in 1999; from 2001 he was foundation chairman of the Renewable Sustainable Energy Roundtable; in 2002 a director of the International Hydropower Association; and from 2006 chairman of Cosmic Power Company Consultancy. Rae's enthusiasm for renewable energy assumed a global dimension with his chairmanship of the International Renewable Energy Alliance, formed in Bonn in 2004, a role requiring regular overseas travel. In 2009 he attended the Copenhagen Climate Change Conference, where he chaired a side event on renewable energy. Rae presided over the boards of several Tasmanian institutions, including the Female Factory Historic Site in Hobart, the Woolmers Foundation and the Royal National Agricultural and Pastoral Society. He also helped establish the annual Tasmanian cultural event, 'Ten Days on the Island'. In January 1999 Rae became an Officer of the Order of Australia, for 'service to business and commerce, to the federal and Tasmanian parliaments, and to the Aboriginal community of Flinders Island'. Valedictory speeches in the Senate at the time of his retirement acknowledged Peter Rae's remarkable contribution to the development of the Senate committee system, which in the words of Senator Don Chipp, 'lifted the Senate and the Senate committee system to a new level of public acceptability and public service'. Reference was also made to 'the great fervour with which he defended his State', his courage, and his dedication. CPD, 11 Sept. 1968, pp. 555–61, 3 Sept. 1970, pp. 487–91; Peter Rae, 'The "Revolutionary Proposals" of 1970', Legislative Studies, Vol. 5, No. 2, Summer 1991, pp. 34–55. CPD, 19 March 1970, pp. 489–93; Australian (Syd. ), 1 April 1971, p. 2; Age (Melb. ), (Saturday Review), 6 Nov. 1971, p. 9; Sun News-Pictorial (Melb. ), 8 Sept. 1971, p. 8; WA (Perth), 10 March 1973, p. 16; Age (Melb. ), 19 July 1974, p. 9; Senate Select Committee on Securities and Exchange, Australian Security Markets and their Regulation, 6 vols, Canberra, 1974–5; CPD, 20 Aug. 1975, pp. 68–70. Australian (Syd. ), 29 April 1976, p. 3; Senate, Journals, 9 Dec. 1971, p. 846, 5 May 1977, p. 20, 6 Oct. 1977, p. 288; Transcript, ABC Radio 'Nationwide', 14 Feb. 1980; SMH, 7 March 1981, p. 13; Senate Legislative and General Purpose Standing Committees: The First 20 Years 1970–1990, Senate Committee Office, Canberra, , pp. 59–66; Standing Committee on Finance and Government Operations, Statutory Authorities of the Commonwealth, First to Sixth Report, Canberra, 1977; CPD (R), 22 Sept. 1981 pp. 1573–8, 1581–6; Peter Rae, 'The financial accountability of statutory authorities' in J. R. Nethercote, Parliament & Bureaucracy. Hale & Iremonger, Syd., 1982, pp. 238–48; CPD, 11 Feb. 1986, p. 35. Russell Schneider, War Without Blood, A&R, Syd., 1980, pp. 17, 24, 69; David Burnett, John Howard, Prime Minister, Penguin Books, Ringwood, Vic., 1997, p. 335; Examiner (Launc. ), 4 May 1976, p. 7; Sun News-Pictorial (Melb. ), 8 Sept. 1971, p. 8; Australian (Syd. ), 29 April 1976, p. 3; Examiner (Launc. ), 19 May 1977, p. 7; Mercury (Hob. ), 29 Nov. 1984, p.2; Australian (Syd. ), 24 Feb. 1977, p. 9; CPD, 22 March 1979, pp. 931–4; Australian (Syd. ), 18 May 1979, p. 9; National Times (Syd. ), 17–23 May 1981, pp. 10–11; Transcript, ABC Radio 'Nationwide', 14 Nov. 1980. Peter Rae in Nethercote, 1982, pp. 238–9; Australian (Syd. ), 11 Oct. 1971, p. 2, 3 April 1978, p. 9; CPD, 13 Oct. 1977, p. 1368, 16 Aug. 1978, pp. 101–03; Rae in Legislative Studies, Summer 1991; Rosemary Laing (ed), Annotated Standing Orders of the Australian Senate, Department of the Senate, Canberra, 2009, pp. 130–46; Mercury (Hob. ), 11 Nov. 1980, p. 5, 19 May 1980, p. 6; Press Release, Senator Peter Rae, 18 May 1983. CPD, 15 Oct. 1974, pp. 1719–20, 16 Oct. 1974, pp. 1756–61, 23 Aug. 1973, pp. 133–6, 18 Aug. 1981, pp. 11–15; Senate, Journals, 1 May 1980, p. 1303; Russell Schneider, War Without Blood, p. 68. Author interview with Rae, 25 Nov. 2010; CPD, 11 Feb. 1986, pp. 35–41. This biography was first published in The Biographical Dictionary of the Australian Senate, Vol. 4, 1983-2002, Department of the Senate, Canberra, 2017, pp. 312-317.